Showcasing the exciting talents of a diverse cast, Madiba the Musical is ultimately an inspiring celebration of the life of Nelson Mandela. 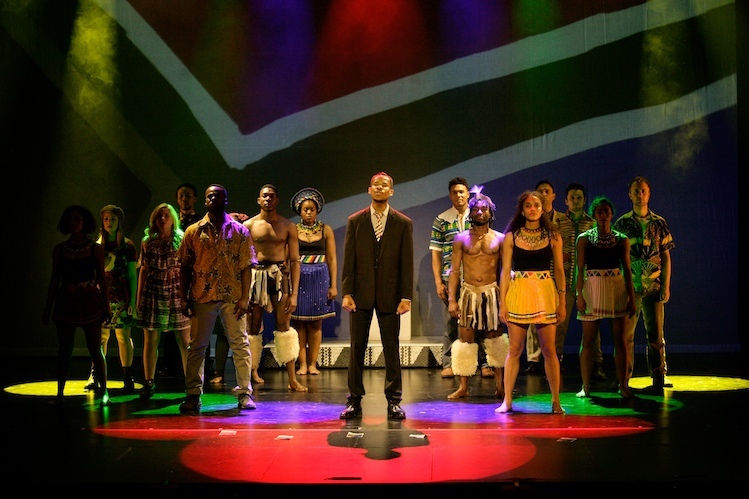 Originating in Paris some four years ago, the universal appeal of Nelson Mandela’s story has seen Madiba the Musical make this English language debut in Australia. Composed and written by Jean-Pierre Hadida, with co-author Alicia Sebrien, the new musical has been re-staged in Australia, with local director Dennis Watkins building upon the work of French director Pierre-Yves Duchesne. Local audiences who may look at a what might be a narrative concert with dread need clear reassurance that this is not one of those paint by numbers shows that stumbles from scene to scene with Wikipedia entries read aloud between songs. 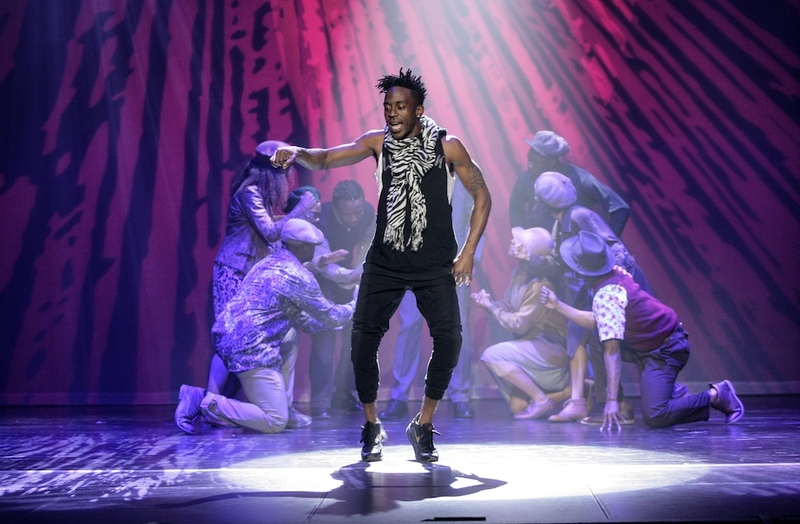 Madiba does have a Narrator (the effervescent David Denis), whose rhythmic lines in verse, punctuated with spectacular hip hop dance moves, bring an energetic Hamilton/In The Heights vibe to proceedings. Surprisingly, the story is not entirely focused on the great man himself. The authors have crafted an interwoven story of characters affected by Mandela’s life. After a couple of brief scenes showing Mandela’s early life as a lawyer of the people, he is incarcerated and henceforth shown occasionally speaking inspirational dialogue from prison. Even his release is a low-key affair, before building to show the rippling effect on South Africa and the world. 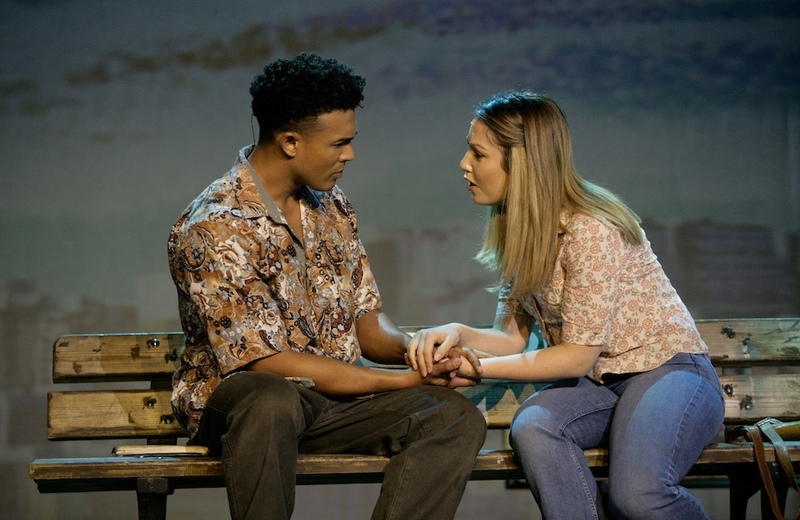 Every musical needs a love story, and Madiba has Helena, daughter of embittered officer Peter van Leden, and William Xulu, an emerging artist whose life is presumably partly based on William Zulu. 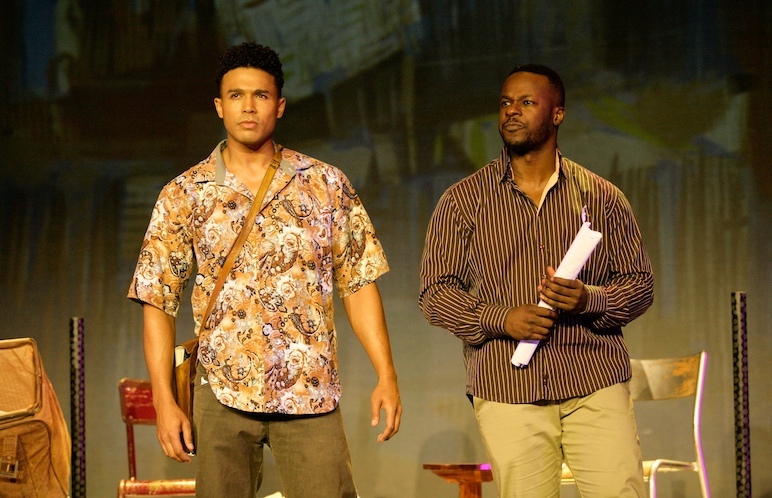 William’s parent Sam Onotou is imprisoned with Mandela, and he spreads Mandela’s message after his release. Act one ends with uplifting company number “In the Sunlight,” led by Sam and his partner Sandy. 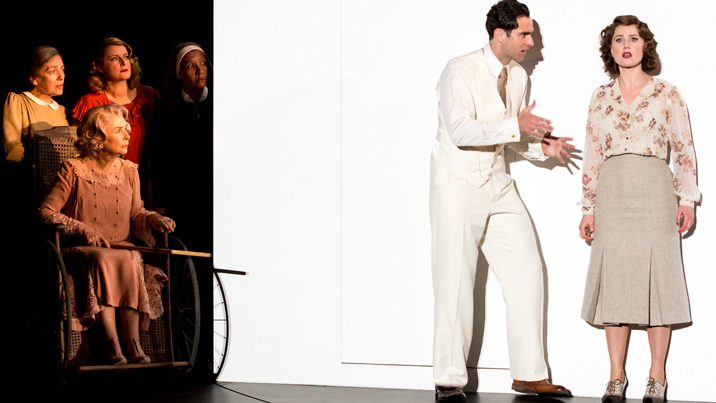 Watkins’ direction keeps the show moving fluidly and energetically. With so much music, Madiba is almost a song cycle. Watkins keeps the key characters and their stories clear, bringing out highly committed performances from the ensemble cast of triple threat performers. Scenic elements are very simple, with occasional set pieces brought on in front of a rear cyclorama showing projected artwork. The most successful effect is having the two levels of prison cells behind the cyclorama, visible only when lit from behind. Musical director Michael Tyack is joined by just two other musicians, yet the band creates a full sound. Hadida’s songs have an accessible rhythm and melody, but their impact would be strengthened by some more oomph in the volume of the sound design. There is clearly a good deal of vocal power on stage, yet there is never the sense of being blown away by the singing in the big company numbers. Given that some audio and lighting cues were still being tightened on opening night, perhaps the volume level will improve as the season progresses. Embracing the triple threat talents of the cast, choreographer Johan Nus has delivered vibrant, tightly drilled dance that celebrates the culture on show. 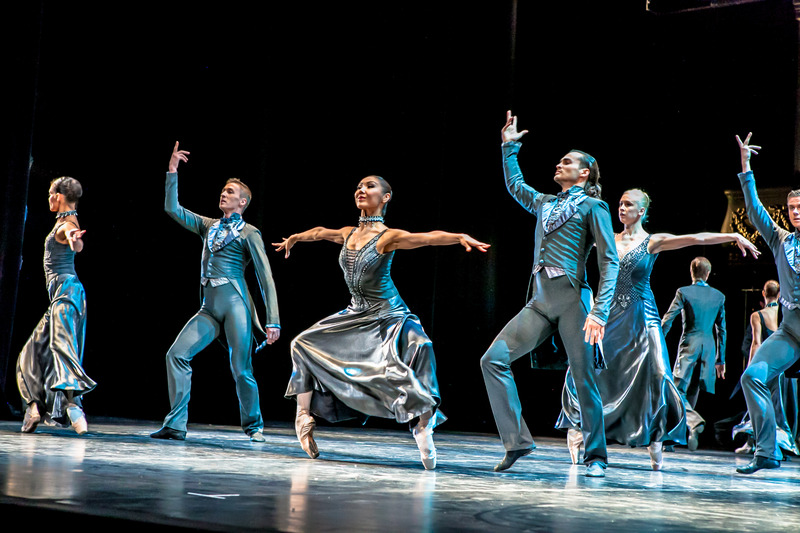 In the absence of scenery, the company choreography occasionally has the sense of a concert rather than being used for storytelling effect, yet when dance is this strong and this unique, this is a minor complaint. Costume designer Sabrina Gomis Vallée fills the stage with colour, particularly with the African national costumes. 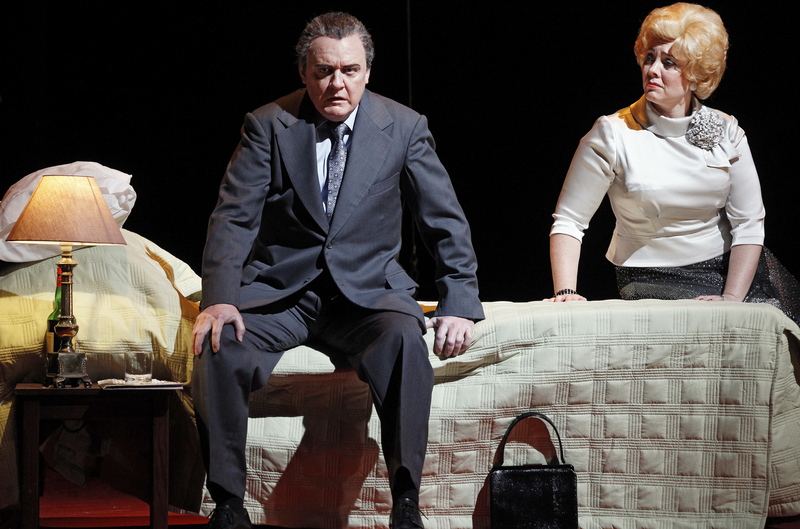 The passing decades are covered in a general sense, and performers efficiently move in and out of the ensemble as their characters take centre stage. In an extraordinary match of actor and character, Perci Moeketsi is superb as Nelson Mandela. Particularly in the second half, when his hair is greyed, Moeketsi is a striking match for Mandela, a fact that he enhances with his gentle body language and softly spoken speech pattern. The strength and impact of Moeketsi’s performance gives the show an air of quality that goes a long way to setting aside any reservations. Barry Conrad capably demonstrates that he is a blue chip musical theatre leading man when given the chance to play centre stage. Conrad brings gravitas to Will’s taboo romance, and sings with a gorgeous tone. Madeline Perrone, as Helena, is a appealing partner for Conrad. Tim ‘Timomatic’ Omaji reveals a depth of dramatic acting talent as enlightened prisoner Sam, also delivering stirring vocals and agile dance moves. Blake Erickson gives a courageous performance as embittered officer Peter, portraying brutish racism from what is now, thankfully, a bygone era. 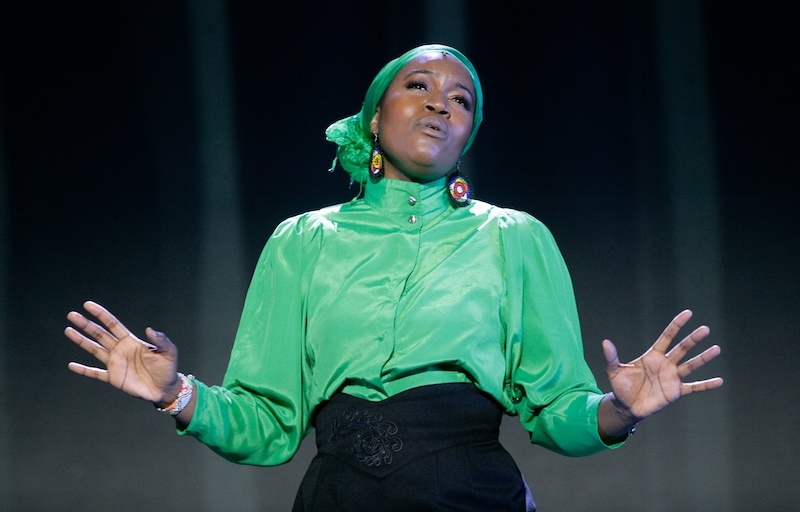 Ruva Ngwenya successfully captures the essence of Winnie Mandela, singing with a soulful gospel belt. Likewise, charismatic performer Tarisai Vushe sings with stirring power as Sandy Xulu, sister of Will. Madiba the Musical may challenge theatregoers accustomed to glossy Broadway franchises. 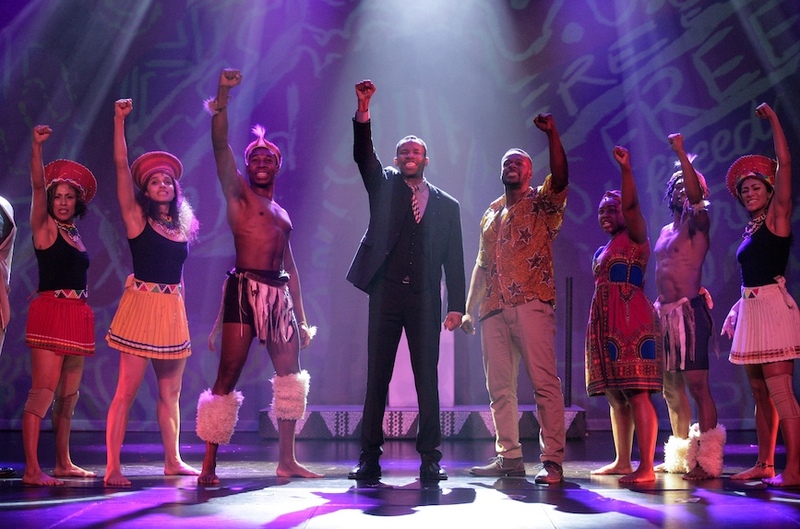 For adventurous souls open to exploring new styles, there is a good amount to enjoy and admire in Madiba the Musical. Madiba the Musical plays at Comedy Theatre, Melbourne until 28 October 2018 before touring to Sydney, Canberra, Warrnambool, Perth, Adelaide and New Zealand. Just seen it. Your review articulates, better than I ever could, the strenghts of this wonderful show. I would only add that Blake Erikson’s performance – and role – was another absolute stand out. Thanks David. I do have a comment in there about Mr Erickson, but yes I agree that his work deserves special mention. It takes courage to portray someone for whom racism was just a natural outlook, but it serves to highlight how appalling an outlook it was.